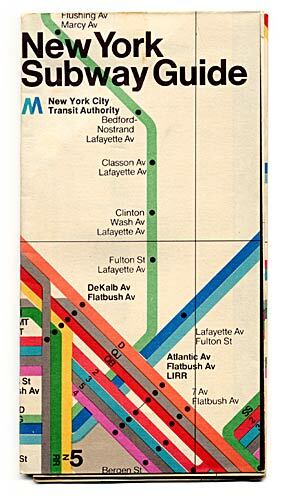 Notes: This map was issued in 1972 and is similar to the first version, except the cover is an enlarged section of the map zoomed in on Downtown Brooklyn. Other minor differences can be found on this map. When opened the reverse show an enlarged view of Downtown Manhattan & Downtown Brooklyn instead of the strip maps of the earlier version. Both versions of the 1972 map were available at token booths that year.